The question isn’t whether social media for small business makes any sense, but which network you should be on! A whopping 71% of internet users worldwide use social media in 2017, and the number will grow to 3.02 billion by 2022. If you want to reach and engage potential customers, consistent social presence is a must-have. Transforming your presence on the right social networks into tangible business gains is anything but easy. For starters, social networking and marketing can take an awful lot of time, a scarce resource for many startup founders and small business owners. You can’t just get on, say, Twitter to blast marketing messages and expect results. You need to come forward with a strategy and avoid pitfalls along the way. This guide will not only warn you of the critical mistakes you mustn’t make. Finding the perfect social network which houses the majority of your audience is only a matter of time and effort. But the sheer number of choices can also overwhelm small business owners. We’ve got big players like Facebook, Pinterest, and Instagram. And we must not forget the nichey and Q&A varieties like Reddit and Quora. Where do you even start!? Should you go for the most popular network? If size and reach is the primary metric, Facebook is the clear winner, with more than two billion active users. However, note that the network’s massive user-base also means you’ll go up against a ton of competitors. Not to mention you should also pay attention to other metrics. Sure, network size is a factor you must consider. But so are engagement and organic reach. What’s the point of having a massive potential audience if your message can’t reach the right people or if the users don’t engage with you as much as you’d like? Don’t get blindsided by the mere number of users when choosing a network. Instead, focus on the two most important things: your audience and your business. By being specific about who you want to reach, you stand a better chance of finding the network where they stay online. As you will see in a while, different networks attract diverse audiences. Some are magnets for young and cool people, while others have professionals as their primary users. You will want to ask if getting on a particular social media platform makes sense for your business. You will want to pick one that matches the type of content you already publish. 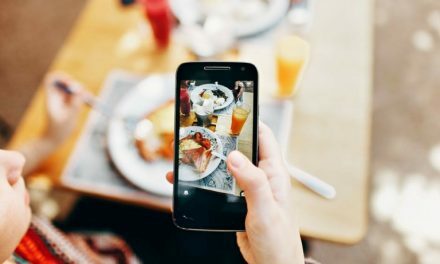 If you already publish a lot of high-quality photos, getting your business on an image-centric platform like Instagram makes a lot of sense. And lastly, ask yourself: Do I get how the network works? If you don’t, you are likely to spend a lot of time with little progress (followers and engagement) to show for it. 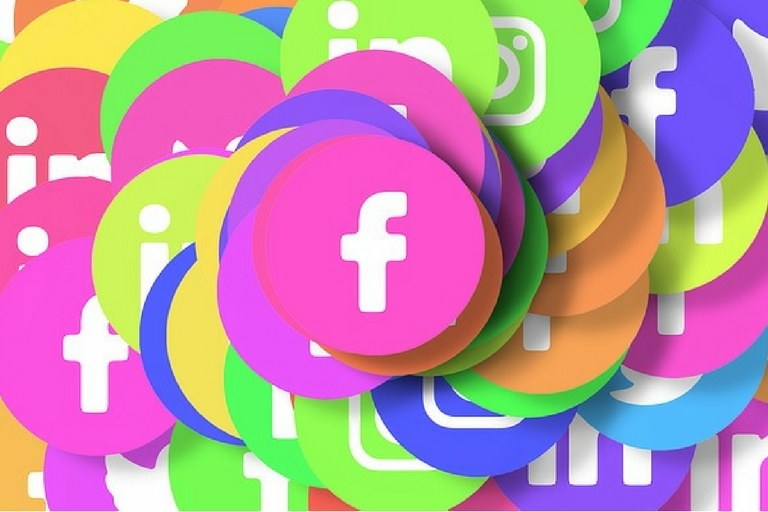 To help you in your search, we have listed the most popular social media networks below as well as a bird’s eye view of why you should sign up. We can’t ignore the decline in organic reach within the network starting in 2014. Nevertheless, Facebook can still be a valuable tool for reaching your prospects and target audience. With more than two billion users, you can’t afford to snub Mark Zuckerberg’s brainchild willy-nilly. And thanks to Insights which lets you measure just about every significant metric of your page, you are well-equipped to track the progress of their Facebook campaigns. People didn’t think much of Instagram when it launched in 2010. But Facebook’s acquisition of Instagram for $1 billion only two years later silenced the critics. The photo-sharing app and network isn’t just for sharing images of fancy dinners and lovely sunsets! You want to be on Instagram if visual marketing is a top priority as photos and videos are the network’s favored content formats. Even better, however, you can also get fans and followers to pump out user-generated content (UGC) which you can use to increase engagement. Twitter expanded from 140 to 280-character tweets in 2017. Still, brevity is the soul of the network. And it’s an excellent platform for announcements and answering customer service questions! Beyond quick updates, Twitter is also a fantastic networking tool. It may not have the professional feel that LinkedIn has (more on this later). But Twitter gives you a ton of opportunities to reach out to potential customers, partners, or even recruits! Facebook holds the number one spot among social media networks in driving online traffic. But do you know who owns the second spot? Pinterest! More than 90% of Pinterest users are on the network to plan purchases! And their average order value sits at $50, higher than the competition. If you already use visual content in your marketing or focus on categories like food, gardening, or DIY, Pinterest might not only grow your brand’s following but your bottom-line, too. Think LinkedIn is only for job hunters and professionals looking to grow their network? Did you know that a survey of 3,100 consultants, small business owners, and salespeople found that 84% of users generated business opportunities thanks to LinkedIn? If you run a B2B company, having a personal profile and a company page on the network can help showcase your expertise. It may just give you the reputation boost you need to convince executives and decision-makers to meet you! You will want to consider Snapchat if you’re going to position your brand as young and hip, or if users aged 24 years old and below are your target audience. It’s also an outstanding platform if you want to share behind-the-scenes moments in your business. 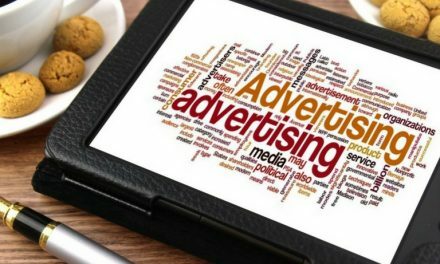 Most marketers and businesses turn to the big players like Facebook and Instagram for social media marketing, creating stiff competition within these networks. If you want to set up shop someplace where competition isn’t as cutthroat, Snapchat might just be what you need. You may not think of YouTube as a social network, but it has all the bearings of one. Lets you add friends and follow content creators? Check! Lets you “like” and comment on videos and reply to other users? Check! Gives you a feed with video recommendations? Check! With more and more consumers preferring visual content such as videos, you have every reason to get on YouTube (if it makes sense for your business). Establishing your presence on the video-sharing site can also benefit your website’s organic traffic immensely as YouTube videos routinely make it to the top 10 of Google’s SERPs. Google+ once spooked Mark Zuckerberg, prompting the latter to call for a lockdown. The social network didn’t quite live up to the expectations. But establishing your presence in Google+ can prove worthwhile. The number one benefit perhaps is local SEO. A Search Engine Journal report found that +1s on a Google+ business profile and the actual URL can help a page get listed on the SERP’s carousel. And guess what? Getting on the carousel can boost a site or page’s CTR! You’ve just picked a network or two to build your presence on, and you’re now a step closer to marketing your business and servicing customers via social. But before we get to the actual tactics and strategies, let’s first talk about how to set up our profiles for maximum success. The exact steps will differ between social networks, of course. And if we provide a setup guide for every social media platform, this post will take ages to read. So instead, we will look at three essential elements of a social media profile as well as some guidelines on how to nail each one. Let’s take a look. “Names are powerful things,” said author Rick Riordan. And as far as social media profiles are concerned, rankings happen with your name. So make sure you use one you want to rank for. Note, however, that names are different from usernames or handles. Let’s use Rand Fishkin, founder of Moz, and his Twitter account as an example. “Rand Fishkin” is the account’s name, but @randfish is the handle. Many businesses use a smorgasbord of keywords, area codes, or city names as their handle, believing it will add SEO juice to their profiles. But doing so is a big mistake! When people want to mention a brand and they can’t find the direct link to the profile, they will probably type in the name and throw an @ symbol (I often do). Imagine their frustration when they find out that the actual handle is not even close to the business name. So keep your handles straightforward and easy to remember! Think of how people will search for your brand or business. 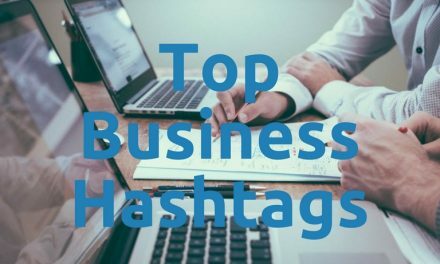 If your business name is “Hilton Plumbing Company,” using @hiltonplumbingco might be your best bet as users are likely to type that. Once you’ve found the perfect handle for your profile, use it for all of your other accounts. Staying consistent with your handles not only drives up your searchability. But doing so can also increase your chances of getting mentioned. Research says that the human brain can process visual content 60,000 times faster than plain text. A profile picture can convey your competence and likeability in a snap, while a paragraph or two about your skills and accomplishments will take way longer to showcase the same traits. What should you use for your social media accounts? You have two options – go for a logo or a personal photo. The former is the way to go if people already recognize your business. The latter, on the other hand, is best suited for public figures like bloggers and building a personal brand. Whichever route you take, be sure to use the optimal dimensions. An image may look great on your profile. But what about on the newsfeed of your followers? How will it look when expanded? Is it just as good on a mobile device as it is on a desktop? The social networks will use the same image in multiple instances, so sticking to their recommended dimensions is smart. Note: To see the recommended sizes for other images in your profiles (ex: background, cover photo), check out this “always up-to-date” guide by Sprout Social. Done picking a profile photo? Good! Now use it across all of your social media accounts. You want people to recognize you in an instant whatever network they’re using, and using a personal photo for Facebook, a logo on Twitter, and a random image on Youtube won’t help your cause. Change the filename, usually a string of numbers, to your personal or business name. Doing so adds SEO value to your profile. Google may even show the image at the top of the search results should someone search for you or your business. On the other hand, plenty of networks let you add images to your profile. For example, Facebook and Twitter have cover photos while LinkedIn has banner and background images for company pages. Fill those in with customized, branded graphics. Not only do they help boost recognition, but you can also include extra details you otherwise can’t fit into your profile. Steer clear of stock photos – even with a celebrity in it – or you’ll come across as cheap! Bios on most social profiles don’t require much – only a sentence or two about your business. Leaving them blank, however, is an excellent way to turn off potential customers and followers. If you don’t care enough to get a simple step right, you probably don’t care enough to provide a reliable service, too. But what should go into your bio? First on the list is an elevator pitch. Give a clear and compact explanation of what your business does and your value proposition. Next, you will also want to include your primary keywords and a handful secondary target phrases in the copy. Just make sure not to overdo it. Don’t be too salesy nor should you slap just about every keyword related to your business on the copy. Instead, adopt an engaging tone to encourage new visitors to your profile to check out your feed. You will want to add your business’ NAP (name, address, and phone number) in your profile. Facebook, LinkedIn, and Google+ have these fields available. And when filling these out, you want to be as accurate and consistent with the information you provide on your website. This step will improve your business and website’s trustworthiness in the eyes of Google, while also preventing other people from posing as your brand. While the main bio may only have enough space for a few dozen or so characters, other networks may allow you to add extra information like your favorite books, celebrities, and movies for business and personal profiles. Take advantage of these fields! Best-selling books, experts, and other resources in your industry are likely to contain phrases or terms related to your business – and having them on your profile can beef up the page’s keywords without coming across as spammy. Another field you want to get right is the “website” field. You should add a link to your company website whenever you can, of course. But see if you can get more. Some networks, like Facebook, LinkedIn, and Pinterest, have extra fields for URLs, giving you the opportunity to link to and cross-promote other social media profiles. Make sure the links you add work! Few things online are as damaging to your credibility and social media presence as a broken link. So before patting yourself on the back for a job well done, double check the links to see if they’re all active. You’ve built a solid foundation for your social media presence, namely well-optimized profiles. You may feel tempted to blast away posting content and promoting your brand, but doing so can ruin an otherwise great start. Even established brands can make seemingly rookie mistakes on social. Some are bemusing like House of Fraser’s #emojinal campaign that’s so inconsistent with their voice. But others are just downright damaging to a brand like the NSFW tweet from US Airways. If large businesses and seasoned vets are capable of making such mistakes, so are you! But having a clear plan ready not only helps minimize such errors in your campaigns. It also gives you a compass for the direction you should take in the weeks and months to come. Gone are the days when you can just get on Twitter or Facebook and see success because no one else is doing it. “If you don’t know your destination, how will you get there?” said Debasish Mridha. If you don’t know what you want out of your social media marketing, you won’t know if you’re getting anything from the working hours and effort you expend, let alone react appropriately when things aren’t going your way. Set SMART goals for your campaigns. Measurable: If you don’t measure it, you can’t improve it. In the next section, we will look at key performance indicators you must track. They’re different from vanity metrics people go nuts about but have little to offer beyond that. Attainable: One of the most significant mistakes you can make is setting unrealistic expectations. Doing so will frustrate and burn you out. Amassing one million followers in a year sounds fantastic. Realistic? Not so much. Relevant: As a small business owner, surviving and thriving boils down to two things: increasing revenue and minimizing costs. You want your social media marketing goals to align with these two overarching motivations. Time-Bound: “Work expands so as to fill the time for completion,” states the Parkinson’s Law. In simpler words, if you don’t set a deadline, attaining your objectives will take forever! A massive follower count and a ton of “likes” may excite you. But what does having 125,281 Twitter followers or 1,384 Facebook “likes” even mean!? Not all metrics are created equal. So when creating a social media marketing plan, commit to monitoring your brand’s performance on KPIs that are related to your goals. Want to convert more followers into leads and paying customers? Tracking the number of clicks to your landing page links is a good starting point. If establishing your brand as a valuable industry member is one of your priorities, you will want to look at the social interactions (ex: shares, replies, retweets) you generate and the sentiment behind it. Let’s take a look at some key performance indicators help you gauge your progress towards the goals you set in step one. Sentiment: Behind every “like,” share, retweet, and comment is a human with complex emotions. Why are they sharing your post on Twitter? Is it because they like the content or did people find it offensive? What about the replies to your thought-leadership content? Do your followers see it as thought-provoking or ill-informed? You wouldn’t know unless you track social media sentiment. Clicks and referral traffic: At the end of the day, social media doesn’t sell, but your website does. Tracking clicks and traffic from social media lets you see which networks drive visitors and how their referrals fare conversion-wise. Doing so also lets you spot which channels are underperforming and what you can do to improve (ex: better CTAs and images) your campaigns. Reach: This KPI tracks the number of users – within and outside of your network – who viewed your post or update. If you’re not getting as much reach as you’d expect, consider tweaking your posting times or increasing the amount of engaging content you push out. Engagement: This metric and the previous one go hand in hand. More engagement means broader reach as a user liking, sharing, or commenting on a post broadcasts their interaction to their online friends. Moreover, engagement also adds context to your increased visibility. If people are viewing your posts but are not interacting enough, you will want to look for ways to boost users’ willingness to participate in conversations about your brand. The size of your followers and the number of likes you get are a good indicator of exposure. But exposure alone isn’t a good enough measurement of your ROI. Matter of fact, you should welcome competitors as they’ve done much of the hard work for you. All you need to do is analyze their social media marketing campaigns for insights on what sits well with your prospects and the trends within the industry. Straight-up stealing is out of the question, of course, and you can bet users will notice #copycats. But carrying out a competitive analysis can help you uncover the strengths and weaknesses of other companies, what made them successful, as well as the mistakes you need to avoid. Start by gathering a list of your most successful competitors. Google is the best tool for carrying out this step. If you are a brick-and-mortar business selling personalized photochromic eyeglasses, for example, you should look up “photochromic eyeglasses [your location]” in Google. You can bank on the results on the first page being your biggest competitors in the space. Note, however, that big box stores like Amazon or Walmart may show up in the SERPs depending on your industry. In such cases, you should ignore these results and focus on your real competition – businesses that are selling products identical to yours and vying for the attention of your intended audience. What’s the extent of the competition’s activity? See what platforms they use. In particular, you want to keep an eye on their core channels (ex: are they all on Instagram?). You will want to learn more about their posting frequency and the type of content they’re pushing out. How are they interacting with users? Some brands may welcome new followers with a status update, while others share or “like” users’ posts to get (and stay) on their radar. You will also find businesses that follow and collaborate with influencers so take note! How are people responding to them? Are people liking, sharing, or commenting on their posts? If so, which content types or formats are producing these results? Also, consider the emotions of the people engaging with the brand. Do they like what your competitors are publishing? Are they taking it negatively? At the end of your research, you’ll have a clearer idea of the bare minimum you should do so you can go toe to toe with your competitors (because SMB owners don’t have unlimited resources), and what you can do better than the rest without breaking the bank. You’ve set your SMART marketing goals. You have a clear picture of what success looks like. And you already know how your biggest competitors get excellent results through their campaigns. Now’s the time to put the pieces of the puzzle together to come up with a comprehensive plan. What types of content (ex: plain text updates, GIFs, images ) should I publish and promote via social? Take into account the network you’re posting to, your target audience, and the goals you’re going to meet. If you want to generate more B2B leads on LinkedIn, for example, you should publish posts that showcase your expertise on your Pulse account. When should I post updates on our accounts? The social media world pumps out tons of content day in and day out. In Instagram, users upload 80 million photos and generate 3.5 billion likes every day. Twitter users, on the other hand, send out 500 million tweets daily. If you post updates willy-nilly, it’s likely to get buried in the flood of content, unseen by your target audience. So post when your followers and prospects are most active. How will I promote the content to boost up its shares and other success metrics? The most share-worthy piece of content you publish won’t make a difference if no one sees it. So before you hit the publish button, make sure you know which influencers to turn to. Note that promotion isn’t a one-and-done deal, especially if your content is evergreen. Consider repurposing your content and re-sharing the upgraded piece through your social networks. An overly salesy tone can turn off users and prompt them to unfollow your brand. On the other hand, you have products to push out of the door. The right mix will vary depending on the audience, but applying the Pareto principle is a good starting point. Keep 80% of your tweets, status updates, and uploads educational and engaging, while 20% of what you publish should promote your brand and offers. Testing and tweaking the mix is, of course, a must as one audience will differ from another. But an 80-20 ratio minimizes the risk of overselling and repelling fans, makes you a valuable part of the community, and can still help generate more business for your company. Social media allows us to reach out and connect with people – in real time and regardless of the location. If that sounds like a fantastic customer service platform for businesses, you are spot on! Many businesses – both big and small – now use social media to provide service and support to their customers. 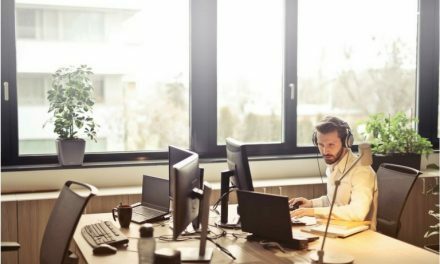 Did you know that social customer service agents can handle four to eight times as many issues per hour than phone agents? That’s a 400% to 800% increase in productivity! Customers are also likely to spend 20% to 40% more with a company who engages and responds to support or service requests via social media. More than 70% of customers who have a positive social media service experience are more likely to recommend the brand or company to others. You get a massive boost in productivity, customer lifetime value, and word-of-mouth marketing. What’s not to like? Customers, on the other hand, are delighted with the real-time support they get via social media. For 43% of consumers, getting a direct response to a question is what they want most from a business. Social media customer service is a win-win for both businesses and consumers. Know that providing exceptional social customer service is anything but easy, and even the top brands are having a hard time. The Annual Mystery Shopping study showed that only 10 out of 100 top online merchants deliver stellar service. But worse perhaps is the fact that many businesses think they’re doing a good job when they aren’t. A report by Bain & Company saw 80% of companies state they provide “superior experience,” while only 8% of customers agreed! You can use your primary handle. Or, you can create a separate one for service requests and complaints. Brands like TELUS and Spotify have taken the latter route for a couple of reasons. First, having a dedicated account for social customer service means your CS team have full ownership of their process and can adopt a distinct tone when responding to questions. Not to mention you can push out service updates to customers who want to engage with your brand, but not with your marketing campaigns. Should you decide to get an account strictly for service and support, don’t forget to let your customers know about it. Add the handle to your primary social media account, email your newsletter subscribers, or post a short blog post about it to get the word out. After setting up streams to monitor the above, the next best practices will help you navigate the social customer service landscape, which can be thorny at times. So you’ve found a complaint or a question about your brand on social media. The average response time from the top 100 US retailers is 24 hours on Facebook and 11 hours and 15 minutes on Twitter. The numbers may sound acceptable until you realize that 42% of consumers expect a response within an hour, while 32% want answers within only 30 minutes! People get on Facebook, Twitter, and Instagram for instant gratification. With this in mind, users expecting near-instant replies to their inquiries via social media shouldn’t come as a surprise. But what if you don’t have a clear solution to offer yet? Customers are 33% more likely to recommend a business that provides quick though ineffective responses. But they are only 17% more likely to endorse a company that delivers effective yet slow answers. Customers on social media value speed more than 100% accuracy. Of course, don’t take this as a license to come forward with useless replies. At the very least, you should let the customer know what you’re doing to resolve the issue. Not every mention or complaint requires a reply. A survey by the social analytics company Netbase revealed that 51% of consumers want to be able to talk about businesses – without the latter listening and joining the conversation. More than 40% of the survey participants even believe that social monitoring and listening is an invasion of their privacy! What’s the context of the message? Is the customer is merely having a conversation with friends? If such is the case, they may not appreciate you jumping in. If the customer is venting out, they may or may not require a reply. Check out the next question. Can you provide value? Let’s say a customer is complaining about your prices. But profit margins are tight, and you don’t want to give discounts because someone spoke about your price tag. In such cases, even the most well-crafted responses that outline the fantastic things your product does won’t provide any value to the conversation. You don’t want just to listen and join any conversation about your brand. You want to understand the customer’s sentiment and take appropriate action (or inaction). Doing social media for small business the right way requires a huge commitment. But we hope this guide and the best practices we looked at will help you start out strong. Of course, covering all-things social media is impossible with a single guide. So if you have other SMM tips for small business owners, share it via the comments section below!